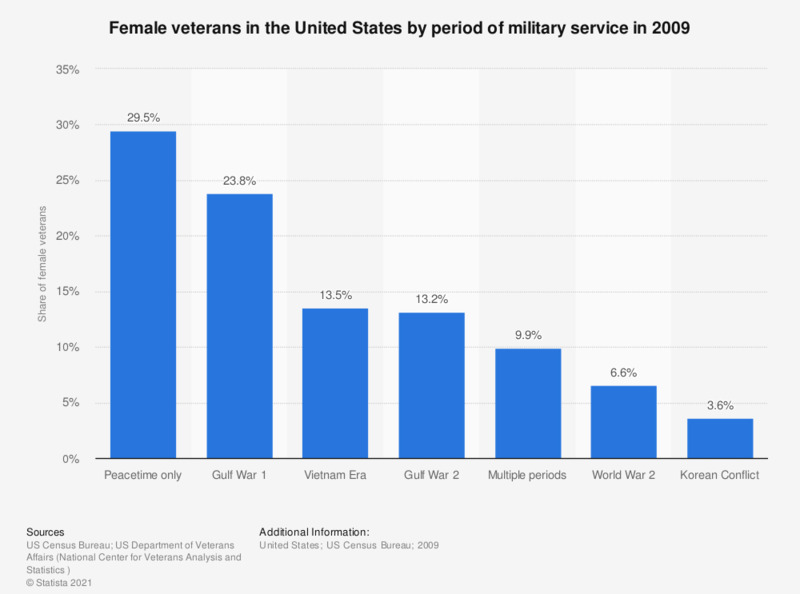 This graph displays female veterans by period of military service in 2009. 6,6 percent of the female veterans served the U.S. army during World War 2. The number of fatalities among Western coalition soldiers that were involved in the Operation Enduring Freedom in Afghanistan can be found here. Period of military service of male veterans in the U.S.
Women: On which day of the week do you feel the least attractive? Who should be on the 10-dollar bill? At this stage of my life, I feel happy.